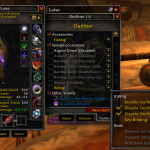 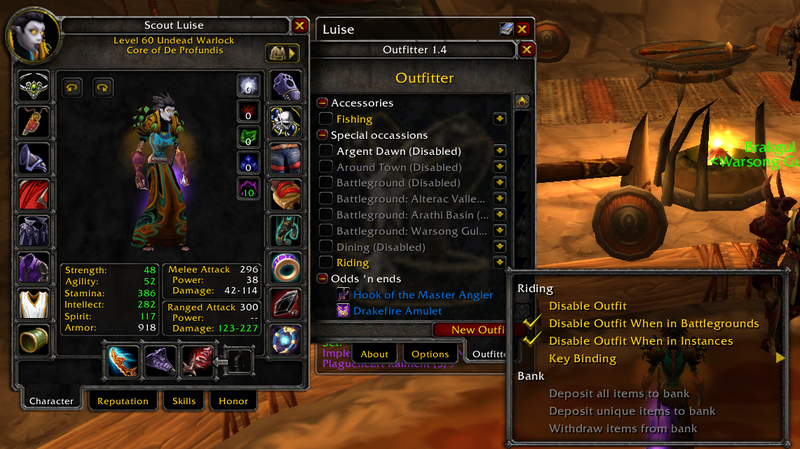 Outfitter allows you to create multiple outfits and equip them with a click of your mouse. 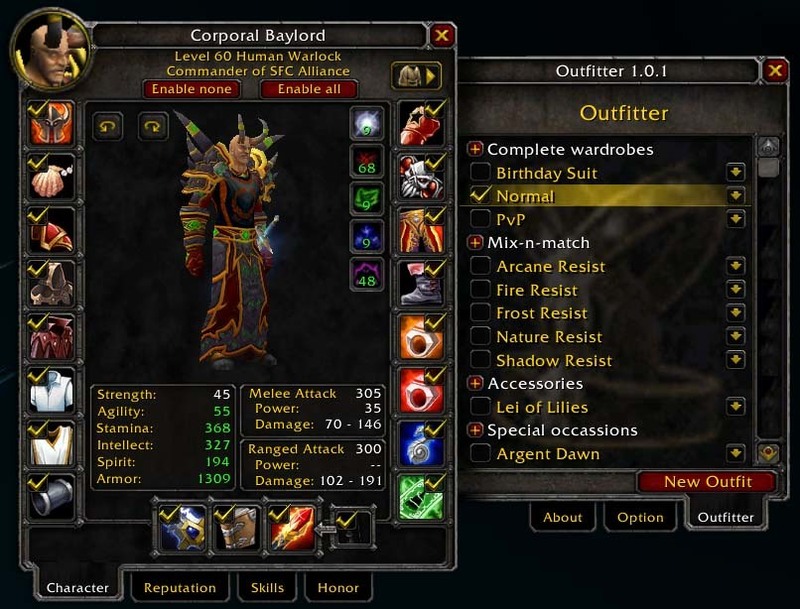 You can layer outfits, create outfits optimized for a particular attribute (ie, fire resist or maximum defense), and have outfits which automatically equip. 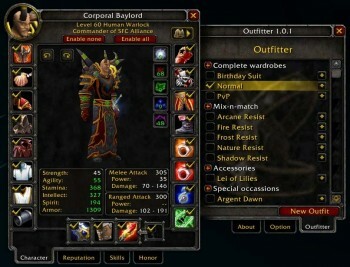 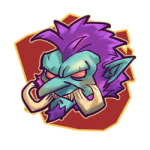 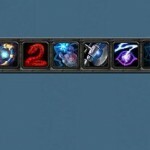 Automatic outfits include riding, Argent Dawn (plagulands), battlegrounds, and class-specific automatic outfits like shadowform, stealth, warrior stances and druid shapeshifting.